Battlefield 5: Firestorm Gameplay Trailer Touches Down | Nerd Much? To get Battlefield fans excited for the series’ first foray into the battle royale genre, EA and Dice have dropped a Battlefield 5: Firestorm gameplay trailer. It’s about three minutes of in-depth footage, teasing what’s coming our way next week. There is a ton of the Firestorm map on display within the Battlefield 5: Firestorm gameplay trailer. Dice touts that it’s the largest sandbox yet in the franchise – which makes sense. They also note that it’s 10 times larger than Battlefield 5’s Hamada stage. We see a wide variety of environments and landmarks within the trailer. Some areas of note are railroad tracks, farm fields, snow covered ridges, open lakes, rock spattered hills, industrial zones, sea side lighthouses and cottages – but there’s a much more. 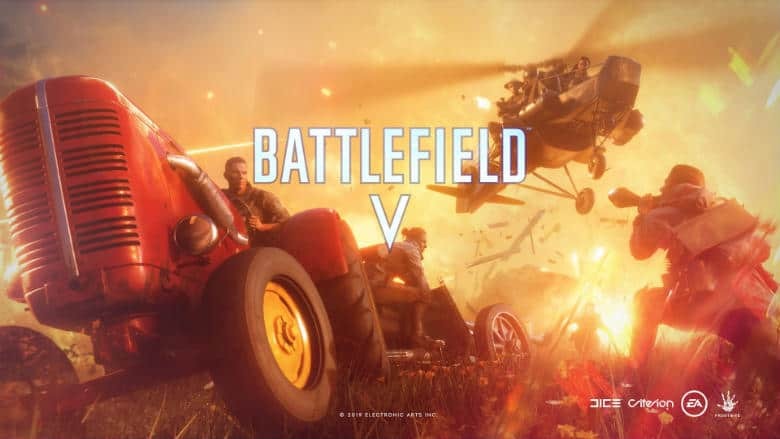 The Battlefield 5: Firestorm gameplay trailer promises battle royale, but with “Battlefield’s signature gunplay, visuals, combat vehicles and destructible environments.” It also noted that there will be 17 vehicles available within the mode when Firestorm launches. Throughout the map you’ll find access to common, rare and epic ranked weapons, gadgets and armor. There are also strongboxes and safes throughout the battle royale arena. They boast some of the best weapons within the game. But they’ll certainly be highly sought after making accessing them a difficult choice. There are also vehicle lockups around the map too. Places like this is where you’ll find your tanks. But the developers warn that these can easily be countered by anti-vehicle weaponry and gadgets. Should you go down in battle, you’ll be able to be revived by teammates. But if there are none to be found, you can still fire off a few rounds from the ground before your opponents flock in to finish you off. Overall, the Battlefield 5: Firestorm gameplay trailer does a fantastic job illustrating what EA and Dice hope will separate this battle royale offering from the others that are already dominating the genre – and what could be down the line. We’ll see if it has any legs after it launches on March 25th.